This Story is about a magical other worldly race called the Tuatha Dé Danann, (the people of the land goddess Danu) and a race called the Formorians who were as dark as the Tuatha Dé Danann were light. Balor was a Formorian King nicknamed, Balor of the evil eye who, as a child spied on his fathers druids while there were concocting an evil curse. The fumes from the spell went into little Balor’s eye which gave his eye terrible power and so his eye had to be covered because it had the power to bring about drought and blight over the land and to kill whole armies with one glance. Balor was not only maimed, he was also cursed as the druids on that day also foretold that Balor’s death would come about at the hands of his grandson. So when Balor had a daughter called Eithne he imprisoned her in a glass tower on Tory Island, (off the west coast of Ireland) to ensure that she would never lay eyes upon a man. Then, as we all do, Balor played a hand in his own fate. He did this by stealing a magical cow called the Glas Gaibhleann (Pronounced Gawlan) from the handsome Cian of the Tuatha Dé Danann and he brought the cow to Tory Island where Eithne was imprisoned. The handsome Cian went looking for his cow and found the beautiful Eithne who had been waiting for the likes of him all her life. It tells the story of the birth of the god Lugh (Lugh meaning light) who was the child of Eithne and Cian. Lugh fought with the Tuatha Dé Danannat the second battle of Madh Tuireadh (Moytura) and killed his grandfather Balor with a sling shot through the evil eye that had been revealed as a last attempt to win the battle. This is told from Eithne’s perspective. When I was a girl I watched the clouds, the slanting rain. I waited for the the sun to be revealed again. I watched the sea. I thrilled at the silver of fishes, the sight of a whale thrashing her tail, dolphins arcing like rainbows. I saw boats change course with the oscillating moods of the Sea God Manannan who besieged and kissed my shore. I watched the moon, felt her swell as we heaved with the tide. I felt the Goddess in my breast. I watched the stars at night. Gleaming constellations making a thrill in my belly; horoscopes without a story awakening like birds in the morning with no song. I am Eithne. My home is a glass tower on Tory island. The room at the top of my tower was drawn with a crystal in mind for every facet to reveal a different view of the sky and sea. I designed it to match my moods; grey and lonely as the longest day, blue for freshness and new, red for anger, yellow for madness and smiles, white for clouds and milk. A crystal room was my fancy and my father gave me what I fancied. I had pearls, jewels, all kinds of trinkets to keep me entertained, to keep me from looking for what I had lost before I found it. But trinkets never worked because I never stopped wanting what I saw in my dreams; mounting jeopardies falling into love and happy endings. And I have another name. I am Formorian. They say, if you can look at a Formorian, you will see a dark spectral being breathing between land and sea, between night and day, in every orifice spying and destroying the illusion that splendour only lives within the light. Yet the word Formorian can conjure a misshapen ghost in any mind. One small description and a dark image can shade the light. One small description can destroy the fallacy that darkness lives only in the Formorian. Imagination can conjure me as easily as it can sunshine in the morning or the wind in the trees unsettling as night roves in. But unlike my fellow Formorians; my head hits glass. I have never felt air flow though my hair, never been out there in the touchable world where there is no need to imagine what is. I have never walked upon the ground. But that does not mean I cannot feel it. When I drink, I see water cascading on a purple mountain, yet, I have never walked there. Melodies sing in my ears, yet, I have never heard music. When it rains I see water seeping into the earth, into everything that lives without ever having seen of felt the earth. When I think of fire speckled with all the colours of a sunset I look within and I can feel a fire inside me. When the wind blows, wind that I have never felt on my face because I only know it as a sound and a force outside my tower; I can feel its destructive force in me and its fertilising force in me. I knew it would be the wind that would blow my love like the wind blows seeds to me. And while I waited, while I craved for earth to hold me, I found a way to sate my cravings with epiphany. That is how I have wisdom, eons of wisdom in the caves of my being and yet I cried to touch the earth. I would see him sailing the sea and when I saw him I would wish him to life and as I wished, my body would come to life and it would suffer because he did not come, yet still I dreamed. My father, Balor, the man who had seven cloaks to hide his power; veils, hiding what is known but never spoken. He, who had a thousand spears and swords and spells at his behest needed my tears to protect him. He who had an army of Formorians armoured, black as beetles and willing to fight for a fear that would never be quenched, because he gave more power to prophesy and never thought and never listened for if he had, he would have known that its prevention is the making of its truth. And while I spoke; while I was trying to tell him why he was so tightly and uselessly wed to darkness he walked away. My father saw the making of destruction as a child. His father’s Druids were making spells to kill his enemies; putting all their hatred in when little Balor came along. A curious eye is a beautiful thing but that day darkness filled his curious eye. That day he saw death in the fire of burning hate. He saw what he was too young to see and it made him sure of fear and it made him rule with fear. For they told him he would die at the hands of his grandson and so; too young to withstand a curse he began his blind quest to make it happen. The frightened child made up his mind to hide the blackness of his eye and so the wearing of his cloaks began. One by one they covered him until there were seven cloaks of surety, so sure that he took away his own child’s freedom. But he could not take away the mystery of my future. My father made it so I would only see the world through glass, to never to walk the earth, to never see how green the grass. If I never moved a muscle in my groin, if I never swelled inside with love and yet I clung to a future not yet revealed. Why had he not killed me? Did he hold a hidden wish for my child to kill him? Did he not know any other way to die? “Daughter, let me tell you about my kindness. If I remove just one of my cloaks all the fern; those little fans flowing two and fro over the ground will wither. Think on it. Ferns; older than the first creature to walk the earth, green and fat with water swaying lightly in an April breeze. I do not want to destroy the ferns so do you see now that I am kind. If I remove the second cloak all the grass will die and all the milk that makes us tall will sour. I do not want to take what feeds the cow in whose eyes lives all the giving in the world. Remove the third and the trees will heat. Migrating birds with fly away. The rest will die. Remove the fourth and the trees will smoke; colours will fade under its fume and the sky will darken. Remove the fifth and there will be red trees; the noise of red hot wood will crackle. The forests will waken all who walk the earth and stiffen them with fear. Remove the sixth and every creature on this land will burn. But the story didn’t end there. Dreams had told me of a way for me, for our people too. Imagine the beautiful Eithne daughter of a Formorian King and the handsome Cian of the Tuatha De Danann owner of the Glas Gaibhleann coming together in love. Imagine that cow giving birth to Formorian calves. Imagine the prosperity if my tower was a chrysalis for impregnation. And the dream came true and as it happened my father played his unknowing part in my becoming the light that was to spill in to shadow. Men had been hidden from me. I was never to lay eyes upon a man. The only humans I saw were the twelve matrons who looked after me; who all had dreams of their own. In each and everyone of their kind hearts there was a bower tended imaginatively for love. I supposed they were all virgins. My father would have made a term of that. But what he didn’t know about, couldn’t know about was that version of a man that a maiden holds in her mind’s eye. He is handsome, he is strong and he is besotted. And one day he came, accompanied by the magic I had dreamed and each and every one of us fell for him for he fit perfectly into the pictures in our hearts. He was searching for the cow my father had stolen from him. The beautiful Glas Gaibhleann lactating for everyone. My father’s stealing and the marvellous Druid called Birog guided Cian into the forbidden female fortress on Tory Island. And he gave us all sweet love. Old and young made moans and sighs until their pleasure became a wailing ecstasy so high pitched that the tower’s colours beamed and all living beings on land and sea who beheld it said it caused the light of love within their hearts. Love sang for one day and it shook my tower and my cave moaned and my insides shivered as the sea rushed into me. And nine months later my tower moaned again as we all gave birth. Thirteen groaning women gave birth in one day and that day, they say, thirteen rainbows reflected by the sea made thirteen perfect circles. Oh the joy it is for a woman to hold her infant in her arms; see the tiny being her body has nurtured, hear the breath of life, smell the essence of a new person, taste the kiss of milk wet lips, the touch of sacred skin and feel a love so big it might be impossible for it to grow but then it does. All of my wanderings till then had been made inside myself but this was the most tangible earthing of all. My body, my epiphany was complete. I was an explosion of completeness everything in me and in the world belonged to me and me to it. Until one dire day my tower moaned for a third time and the third time it was loudest of all. With hearts ravaged; wailing mothers were torn from their children as all the babies on my father’s orders were thrown into the sea while mothers were held back from going after them. Oh .. we saw a lot of men that day but it was not a scene from our dreams. Mother’s screams piercing the world with spears cutting all who heard it in two. Turning then to helpless sobbing, sobbing, sobbing until the moon wept along, swelling the sea with tears as Manannan swallowed our children. And all to save one ageing Formorian king who had the protection of ten thousand swords at his behest. And so I returned to imagination. What if I had never lost them. What if I had not seen my babies drown in my sea of hope. To have them instead. To kiss them when they cried, to sing them to sleep, to heal them when they hurt, to hear them when they spoke first words, to cheer them when they achieved, to love them, forever. I had imagined all the wonders that were before me as a mother. But after that my imagination would return to emptiness and that was terrible. I had hoped like a fool that love would come. And it came, but I had not imagined it would only come once. I can still smell Cian, but not so strongly as the smell I have in my nostrils to this day of my babies sweet breaths. I had three, two sons and a daughter. I was the most fruitful of us all. I can still feel their tiny lips search for my breast.. I had enough of being a mother to know that it is a sacred thing. But we women had magic. Not like the magic of the Druids no, ours was the reward of imprisonment. Because we had lived differently. Our earth was the sea and we became like the sea. Our cycles were the tide. Every day our wombs were renewed and we were always fertile. We, through imprisonment had found the magic of connection to the wild silent places of the world and so our children lived on as beautiful sea creatures, knowing sea creatures, half human, half fish, called seals. Except for one child. Birog the druid, the powerful force lurking against the way the world was forming who had guided Cian to my tower saved one of my sons from the sea; the one I called Lugh. She took him into the care of a Blacksmith to be schooled in all the crafts known to heroes, to prepare him to be King of the people of his father called The Tuatha De Danann. But I was left, cast aside and sick of wisdom and the knowing deep in my bones, deeper than my bones, down to my amphibian beginning, knowing that what I saw would come true and what I saw was war raging on with hunger for possession. She told me, The Goddess has given Lugh the sky and the earth and all that lives in between. 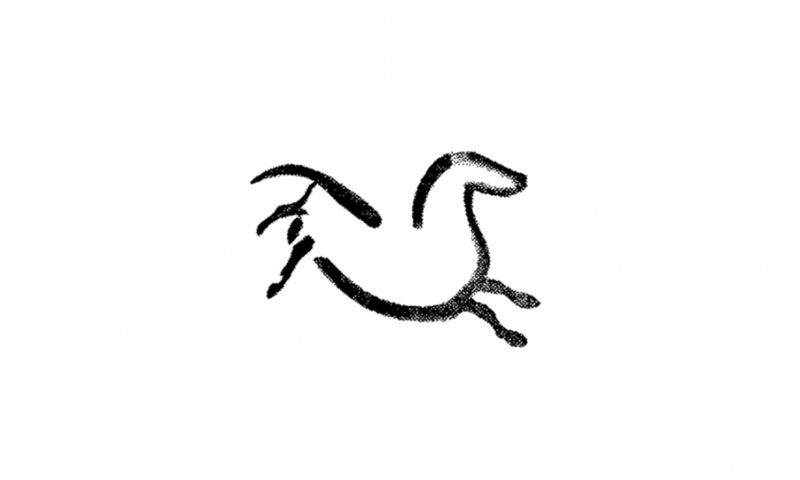 Mananann gave him a horse that would gallop over land and sea, as fast as the wind. She said, “A light shines from your son and that light will go into the hearts of all who behold him.” That’s what she said about my boy. And so the day came when my son Lugh rode to war with the Tuatha De Danann against my people, the Formorians and I was to lose my father in the height of the battle at the hands of my son. It had been foretold and it had come. My father’s one sightedness had made it come and that day, I wished Lugh was with his brother and sister in the sea. That day I lamented my life and everything it stood for. That day I keened alone and my tower was a grey place. I had dreamed of peace but alone I was a pawn of destiny. My dreams were the dreams of a fool who thought she had created something but it was all bigger than me and my sacrifices were as if a drop in this ocean. I was a drop in this ocean and Mananann could not see me nor care for my part in this tragedy. Balor was my father after all; why could someone else not have killed him. And now, years later I can see that my gain was greater than I gleaned on that day. Greater than being thrown aside from the tale as it survived; as if my part ended with the emptying of a vessel. I say today that I and my maids are the mothers of the children of the sea and I am the mother of a redemptive King. I have in my womb the ability to populate the land and the sea. And I am content to have lived with every facet of seeing.